As announced on March 12, 2018, Alterra Mountain Company is planning major investments in its properties. 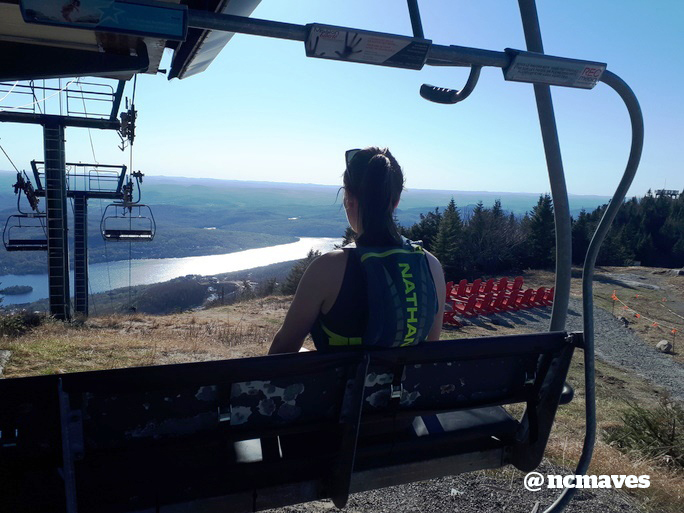 For Mont Tremblant Resorts and Company, this means replacing the Lowell Thomas chairlift, renovating and expanding Le Grand Manitou, opening of new glades, renovating the Fourchette du Diable on the North side as well as other additions and improvements. To better welcome you, Le Grand Manitou has been expanded to showcase an abundance of windows and 400 additional seats while the food service area has been completely redesigned. See the works progression over the months! Our great summer weather has made it easier for our crews to advance on major improvements announced in the Spring. The Grand Manitou lodge expansion is on schedule with the steel structures already in place. By the end of August, walls will be up and the new roofs and windows will be installed on both structures. Even though we are loving this great weather we can’t wait to see these new improvements with the opening of ski season in November. Come hike up our mountain and get your ski legs ready! Following is a short interview with Pete Chauvin, project manager of the Grand Manitou, giving us an overview of the work and challenges the team faces at the top of the mountain. Expansion work on the summit’s Grand Manitou is progressing well. Important steps were completed last week and more will follow in the upcoming weeks. After demolition and excavation, we installed reinforcement meshes in the forms to be able to start pouring concrete. Pouring of the pilasters on the south side of the building was completed on June 5. Simultaneously, the steel structure of the extension was installed on the west side of the building. Thanks to good weather, we managed to lay the first and second floors and erect the roof structure on the west side of the building. Once the pilasters on the south side will be backfilled, the same work on the steel structure will begin. This stage is planned for the beginning of next week. We also plan to start closing the walls and joining the roof structure of the west extension to the existing roof. Alterra Mountain Company has announced major investments in its properties. For us, this equates to the renovation and expansion of Le Grand Manitou, the replacement of the Lowell Thomas lift, the opening of new glades, the renovation of the Fourchette du Diable building at the North base and other additions and improvements. Renovations have already begun at Le Grand Manitou. To better welcome you, the main chalet will be expanded to showcase an abundance of windows and 400 additional seats while the food service area will be completely redesigned. To complete the formwork, it took a total of 6 formworkers working for 2 weeks. Over 550 planks of 2×4 and 80 sheets of 3/4-thick plywood were required to build the custom formwork. More than 22 cubic metres of concrete were used to pour the pilasters for the southern extension of the Grand Manitou. It took 7 days of drying for the concrete to cure to 70% while another 21 days were necessary to cure it to 100%. As for steel, the new structure will use more than 8 tons of steel. Please note that the Panoramic Gondola will be in operation according to the usual schedule to give you access to the highest peak in the Laurentians. During renovations, a catering service is offered at the Midi-Express mobile canteen, as well as a guest services counter, a boutique and restrooms that will be open according to the Panoramic Gondola’s schedule. We have set up a security perimeter to allow you to safely admire the view. A space including Adirondack chairs and picnic tables has also been set up next to the TGV chairlift for you to fully enjoy the mountain’s serenity. Le Grand Manitou will be closed during renovations and will reopen for the ski season opening in November. We are proud to bring a breath of fresh air to this important gathering place! Curious to learn more about the makeover? We will be posting updates regularly throughout the summer to allow you to follow this project’s progress.